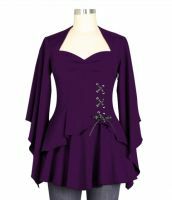 Plus Size Purple & Black Gothic Lace Sweetheart Ruffle Flirty Top [716G2] - $23.95 : Mystic Crypt, the most unique, hard to find items at ghoulishly great prices! 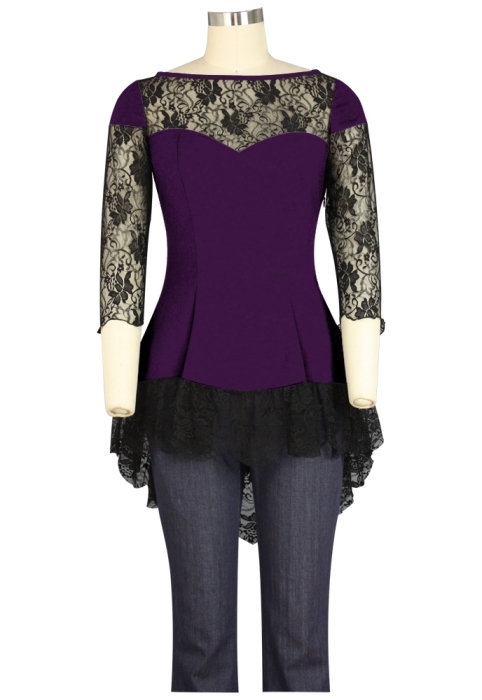 Plus Size Purple & Black Gothic Lace Sweetheart Ruffle Flirty Top. 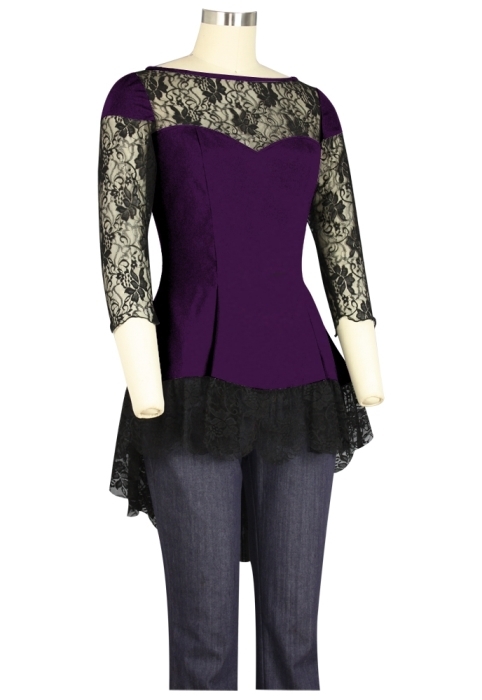 This blouse features lace on the bodice and sleeves. The lace sleeves are hemmed. The lace edging on the blouse is gathered. Side zip. 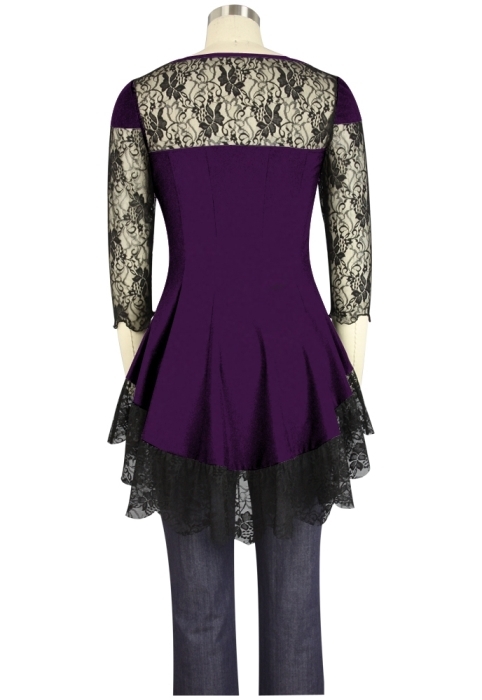 This style is super cute, fun and flirty, and is very flattering to the plus size figure!